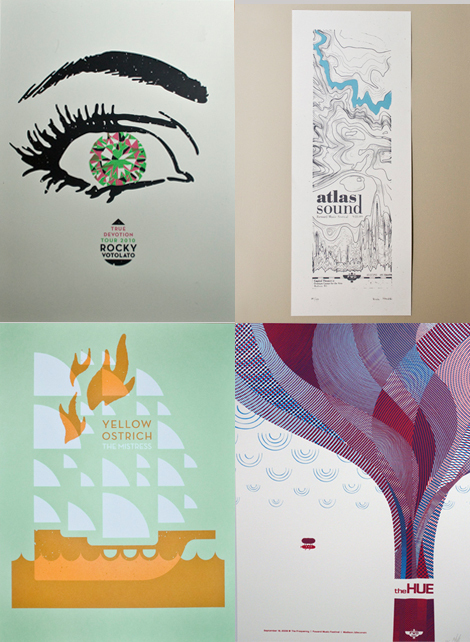 Press For Prints: Bandito Design Co. 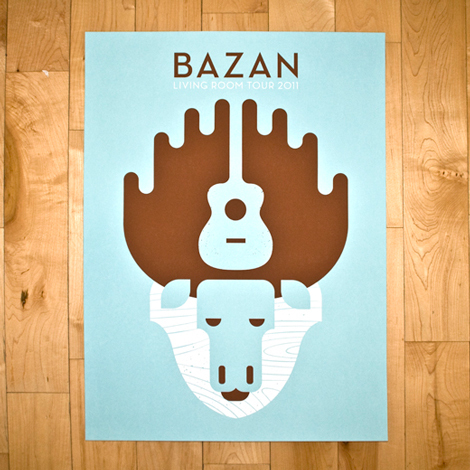 I believe I ended up on the Bandito Design Co. website by way of their striking David Bazan Living Room Tour Poster (above). I must have seen it on the blogs or facebook somewhere. Bandito Design Co. is a design collective based out of Columbus Ohio and is made up of professional designers from multiple creative fields who wanted a healthy “side project”. They love what they do so they do what they love often. Not only do they produce creative gig posters, there’s a great collection of art prints and t-shirts in their store, check it out.